SPF30 natural facial sun cream with high levels of antioxidants. This lotion is made without Parabens, alcohol (ethyl alcohol, ethanol), Lanolin, phthalates, artificial perfumes, petrochemicals and colourants. Produced with fairly traded ingredients and contains 82% certified organic ingredients, including soothing Aloe Vera, Edelweiss, Green Tee, Rosemary extract & Beeswax. Free from oxybenzone. 1. Effective, broad-spectrum protection against UVA & UVB rays. 2. Anti-ageing Avocado & Green Tea protect and maintain collagen and elastin in the skin. 3. Contains antioxidant-rich plants including Edelweiss & Rosemary. 4. Non-irritating, suitable for sensitive skin and those prone to prickly heat. 5. Non-greasy and non-whitening, can be worn on its own or under make-up. The Green People Scent Free Facial Sun Cream - SPF30 - 50ml product ethics are indicated below. To learn more about these product ethics and to see related products, follow the links below. Tried product today...will be probably be buying again. I suffer from rosacea...and so far so good. I use this product daily under make up to protect my skin from the sun. It seems to work well as I never catch the sun at all. I also use a tinted sunscreen on top instead of foundation so I'm well protected! My husband has also started using this product and he reapplies the product during the day if we are out in the sun. I don't know how well it works for actual sunbathing but as protection against sun just moving around it's great. It's easy to apply, sinks in well and you don't need a huge amount. It's also very competitively priced when compared with other broad spectrum, natural sunscreens. 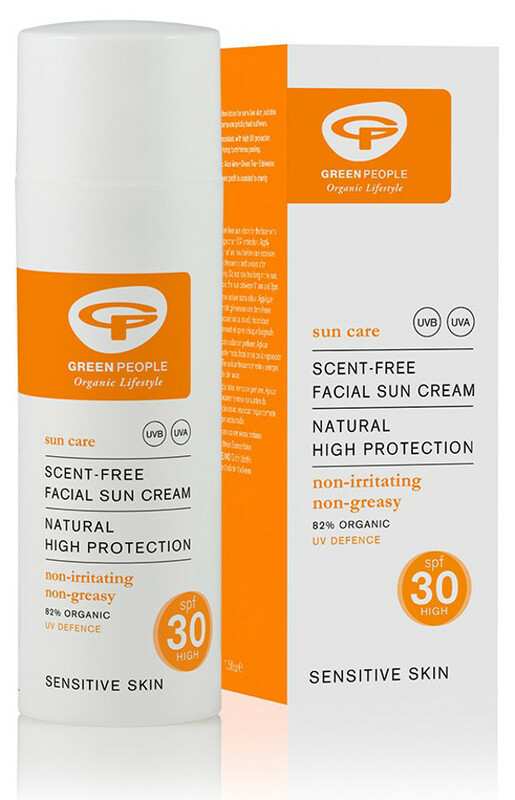 There are currently no questions to display about Green People Scent Free Facial Sun Cream - SPF30 - 50ml.